The EndoBarrier® is also called the Duodenal Jejunal Bypass Liner or bower liner because it lines the uppermost portions of your small bowel (known as the duodenum and jejunum). The EndoBarrier® is a specially designed plastic tube lines the wall of the first 60 cm (2 feet) of your small bowel. 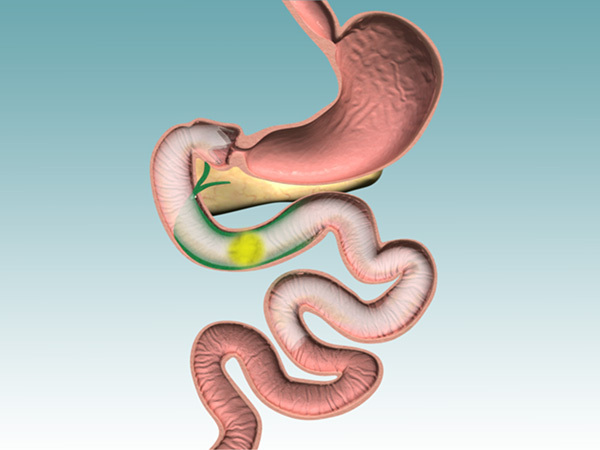 Food from the stomach passes through the EndoBarrier and does not come into contact with the wall of the bowel. The Endobarrier is placed by endoscopy under general anaesthesia. X-ray is used during the procedure to make sure that the liner is in the correct position. The procedure can be done as a day-case or with overnight stay in a hospital in Leeds. Food passes through the EndoBarrier® liner and does not come into contact with the inner lining of the wall of the upper small bowel. Contact with food controls the release of various hormones from the wall of the small bowel. These hormones regulate your appetite and blood sugar levels. EndoBarrier® changes hormone release so that your appetite is suppressed and your blood sugar levels are lowered. The gastric bypass operation has a similar mechanism of action. The EndoBarrier mimics the effect of the gastric bypass – but without the need for major surgery. No. EndoBarrier® is a temporary procedure. The EndoBarrier® is removed after one year. Removal is done by endoscopy under general anaesthesia. Is EndoBarrier® suitable for me? You should give serious consideration to EndoBarrier® if your BMI is more than 30 and you have diabetes or another comorbidity. EndoBarrier is the next stage in the treatment of diabetes and obesity if medicines and life-style modification are not successful. Are there any complications from EndoBarrier? There are small risks for serious complications: bleeding, perforation, migration, bowel blockage and liver abscess.